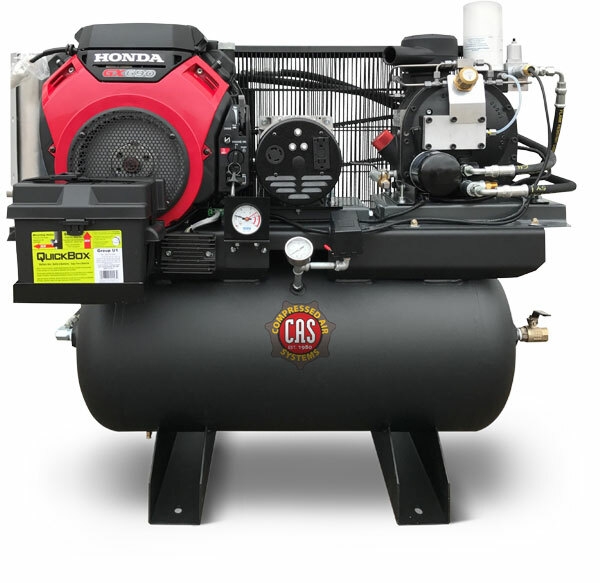 Rotary Screw Compressor/Generator Combos are an invaluable tool for any contractor or municipality. These self-contained systems units provide power and airflow for a variety of air tools and power tools, electrical lights and more. Built with long-lasting and efficient CAS Rotary Screw airends and driven by gasoline or diesel motors. Available with generators up to 55kW.